Come visit Village at Lionsgate Apartments and find your new home today! 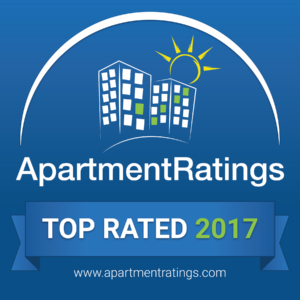 Village at Lionsgate Apartments has received Apartment Ratings "Top Rated Award" for the last 7 consecutive years offering upscale one, two, and three bedroom apartments with designer finishes. 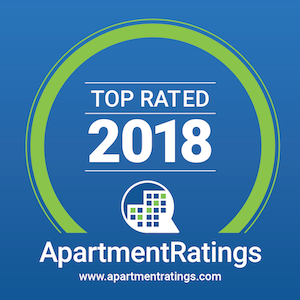 No matter which one you choose, you'll find fully-equipped kitchens, full-size washer and dryers, nine-foot ceilings with crown molding, master suites, built-in computer desks, a private patio or balcony, and generous storage space that make your apartment a place you'll be excited to call home! Select units also include an attached garage, garden tubs perfect for soaking, eat-in kitchens, wood-burning fireplaces, and/or a built-in entertainment center. Village at Lionsgate Apartments offers many luxury amenities to make sure you enjoy your time here with us! As a resident, you can stay active at our state-of-the-art fitness center, walk by the lake on our nature trail, or take a dip in our resort-style swimming pool with a sundeck and BBQ grill. Our inviting clubhouse features a billiards room with a large screen TV, gourmet coffee bar, and a business center for your convenience. Watch a walkthrough video tour now, or contact our friendly leasing staff to set up an appointment for a personal tour of your new home. We look forward to seeing you at Village at Lionsgate Apartments! Live in luxury at Village at Lionsgate Apartments, where we embrace the sophistication and style that will make you excited to call our community home. Not only does Village at Lionsgate Apartments offer you luxury, we also offer an ideal location in south Overland Park. Within a short drive, you'll find high-end dining, outstanding shopping, and amazing entertainment! Some great destinations close by include Corbin Park Shopping Center, Overland Pointe Marketplace, Town Center Plaza, Urban Air Overland Park, and B&B Theatres Overland Park 16. We are situated in the highly-esteemed Blue Valley School District and near many area schools and employers, such as Lakewood Elementary and Middle Schools, Blue Valley West High School, Sprint Campus, Honeywell Federal Manufacturing & Technologies, and Cerner Innovations Campus. Going out of town? We are conveniently located near Metcalf Avenue and Highway 69, giving you easy access to I-35 and I-435. Here at Village at Lionsgate Apartments, we welcome both cats and dogs with no weight restrictions! Bring your furry friend in today to experience all that Village at Lionsgate Apartments has to offer you!